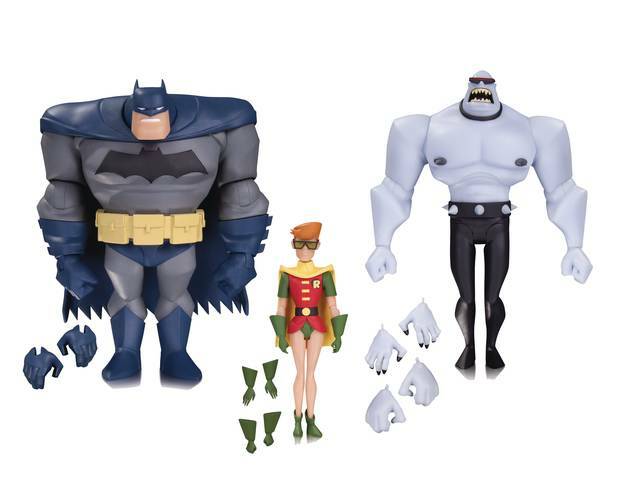 This new action figure 3-pack is inspired by The New Batman Adventures episode Legends of the Dark Knight, and includes Batman, Carrie Kelley as Robin, and the Mutant Leader. Each figure comes with extra hands! BATMAN 6.25 CARRIE KELLEY ROBIN 5.1 MUTANT LEADER 6.1.